On 3rd Aug 2013 we had a visit from Rebecca,(wearing sun glasses) Gabriel (7)(red shirt), and Charlotte(10)(Starry eyes shirt) who live in Barbados. They shoot with the Bowbreakers at home in Barbados. 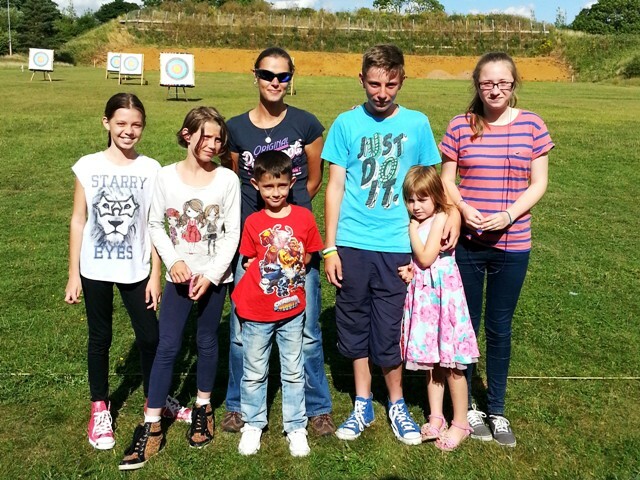 Rebecca’s mother, and brother, live here in the UK, (England) and they all came along to the Sywell shooting range to watch them shoot as they have never had the opportunity before…… seeing them shoot for the first time made them feel so proud of them. Gabriel and Charlotte had a great time and soon made friend and joined in with our own juniors. Mum Rebecca enjoyed mixing with members of the NAC and had a good time shooting too. 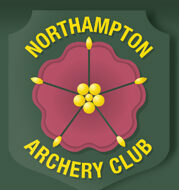 It was nice to see them and the club gave them a warm welcome, they will all wear their NAC badge with pride on their quiver when they shoot again back home in Barbados..
We all wish Rebecca luck as she shoots her 1st competition in Oct. We hope to see them again next year and we wish them a safe journey home. ← We Have Made A Start!